18/10/2017 - The new B6 Screamer models are available! 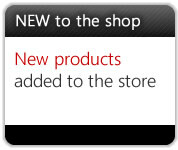 23/09/2011 - A Red Dinamica suede covering option is now available on the car seats at extra cost. New for 2019 is a neon colour range. The seats can be ordered in Yellow, Orange, Pink and Green. All bright vivid colours not seen before on a kart seat. 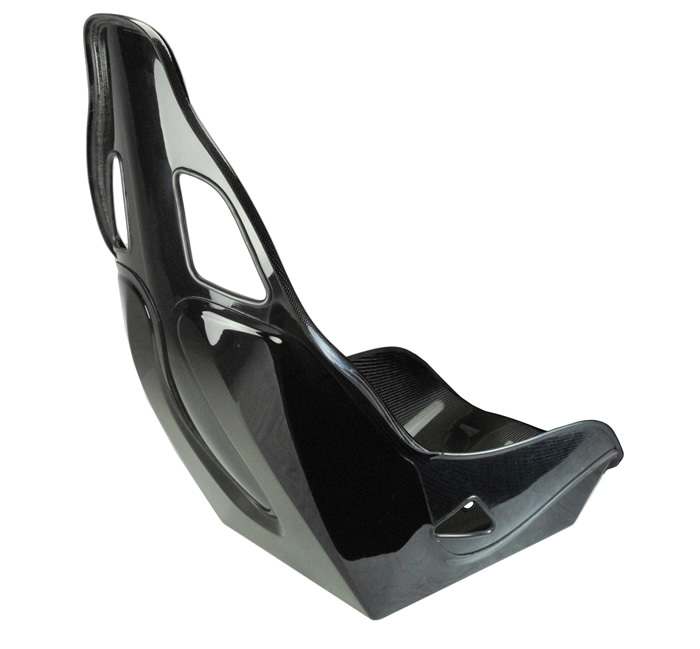 The EBF2 race bracket is designed to fit the B6/B7* shaped seats into the driver side of the Lotus Elise/Exige. Designed as a replacement for the EBF1 bracket, the new EBF2 bracket set is machines from billet aluminium, look amazing with their clear lacquer finish and they only weigh .7kg a pair. The standard width B6/B7 shape will fit the passenger sides with the EBF2 but not the B6 43 XL seat. *Please note versions of the XL B6/B7 with the edges at 47 cm will not fit the Lotus with these brackets. 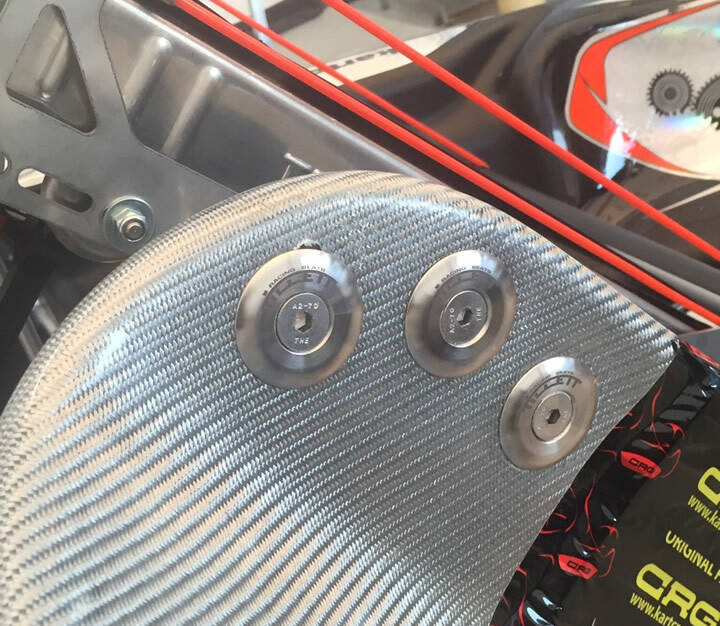 Use the FIA B6 43 XL Screamer and non FIA B6-43 XL side mounts for the larger seat in the Elise/Exige. The EBF2 bracket set comes complete with a special fixings and spacer kit. 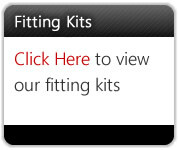 Priced at £340.00 + VAT a set. 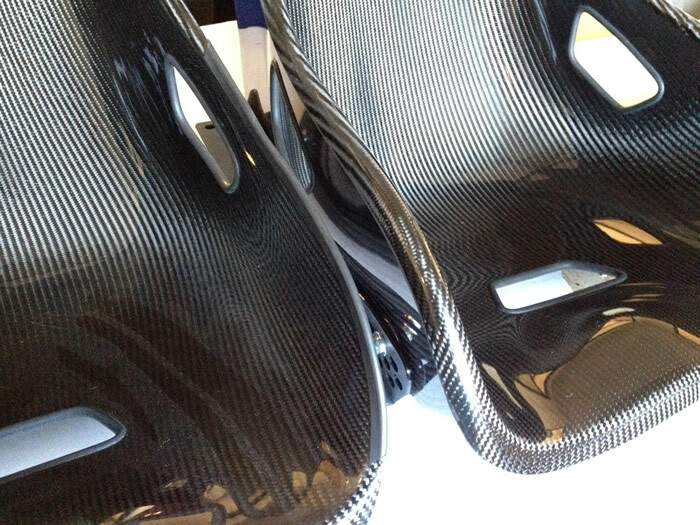 The new carbon fibre B7 XL is an incredibly light race seat at only 3.8 kg. 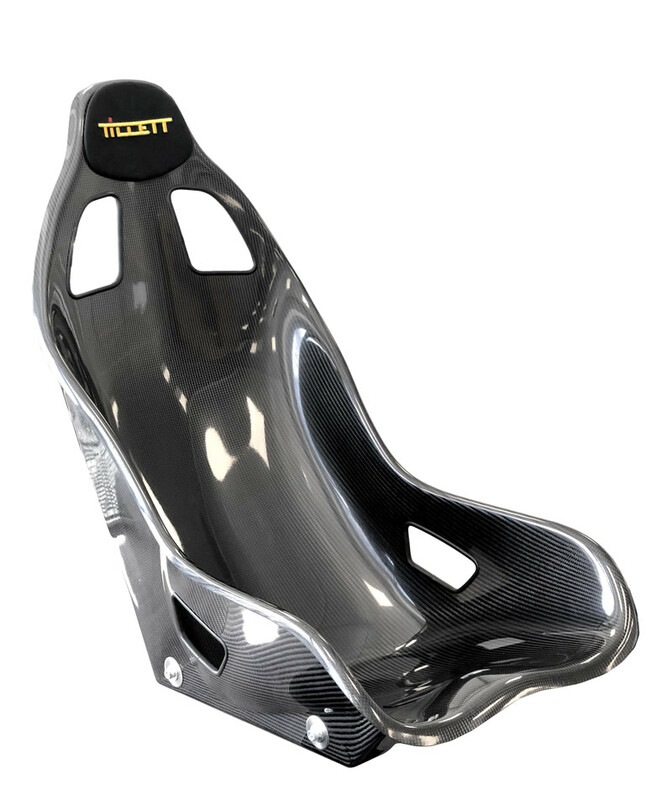 The seat is FIA approved to 8855-1999 FIA and designed for drivers weighing over 100 kg. 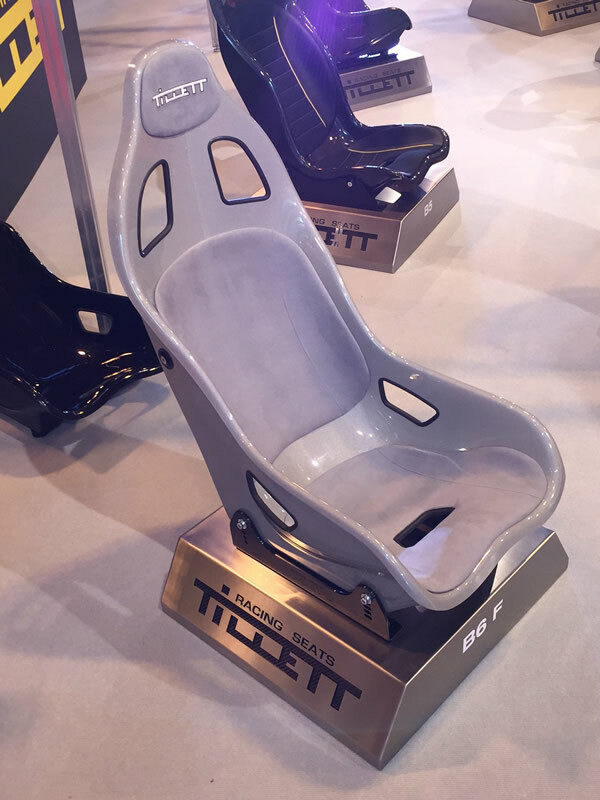 As with all Tillett seats the outer dimensions are incredibly compact and the seat will fit in very tight and restricted cockpits. The B7 XL is incredibly comfortable without a cover even on long journeys or endurance races making it ideal for open topped cars. The new B6 Screamer models are available! The new B6 Screamer is FIA approved to 8855-1999 and replaces the popular B6F and B6F XL.The belt holes are now positioned higher for taller drivers. The rear of the seat has a new design which is more compact to avoid roll bars and better looking. Importantly the weight is now 20% lighter than the B6F as this seat uses our brand new moulding system which creates seats of a superior strength. Designed to fit the Caterham Tillett seats and give a little extra padding. 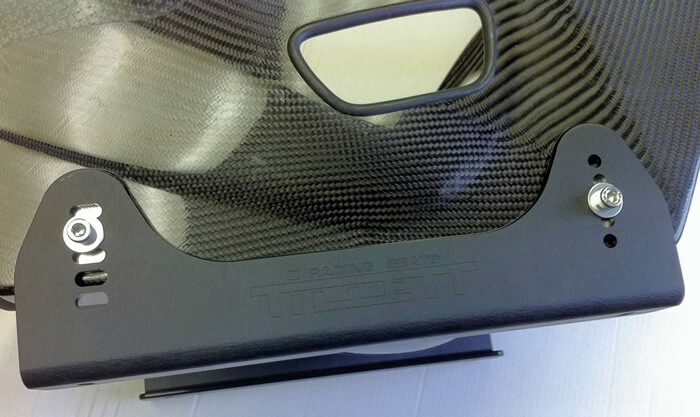 These well made lightweight covers are designed to fit over the original Caterham seats and can be easily fitted by the customer using Velcro. The Autosport show was a great success. The new B6 Screamer was on display to the public for the first time. This next evolution of the popular B6 shape is due to be released in the spring of 2017. 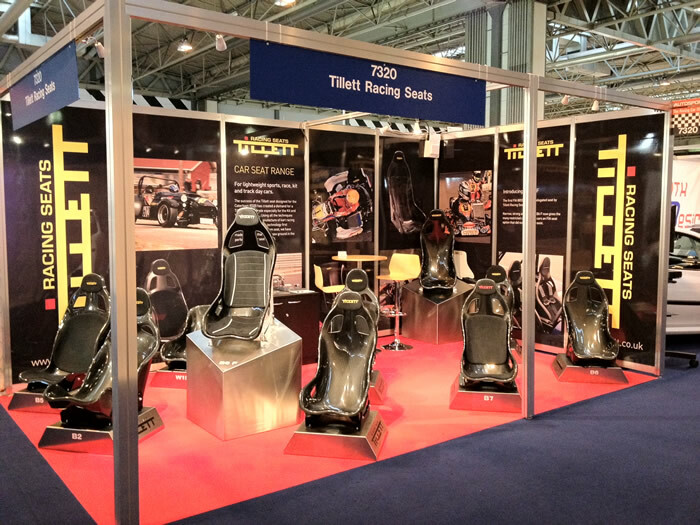 Also on the stand were two products showcasing Tillett Racings Seat’s ability to develop products for other companies. The Trekinetic wheelchair is a fabulous product that is fully developed and is seen in the latest Assassins Creed film. 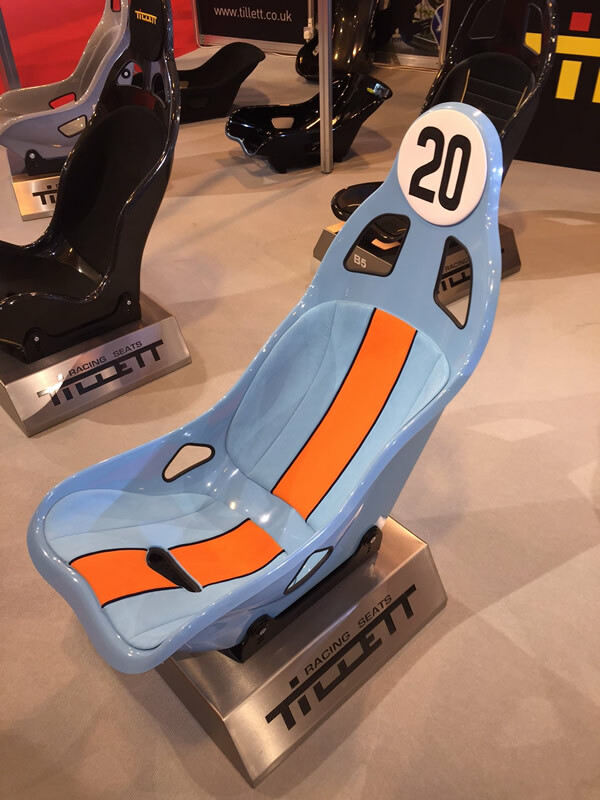 The Airloop shock mitigation seat was also shown and Tillett Racing Seats has been involved in the development of this from its inception by Seactive. This fast rib boat seat is amazingly effective at damping out the waves and is super lightweight. 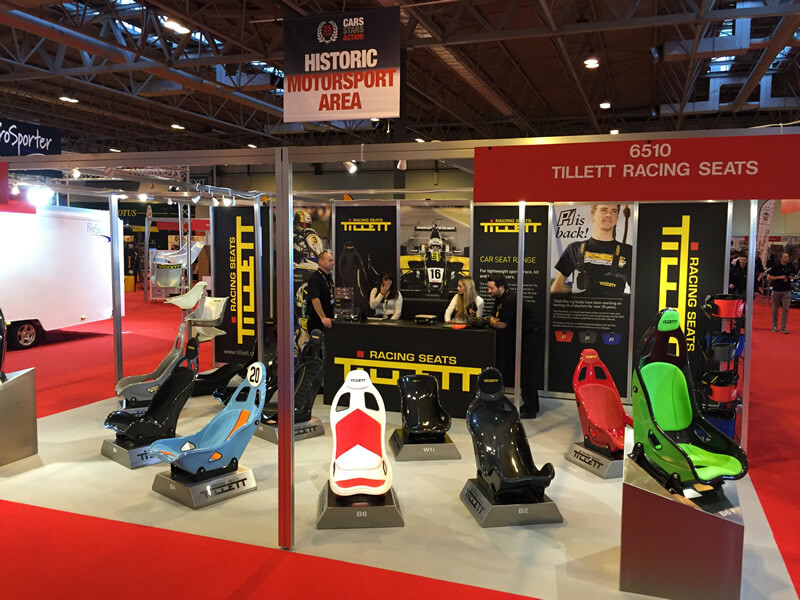 Tillett Racing Seats are attending the Autosport Car Show on stand 6565. 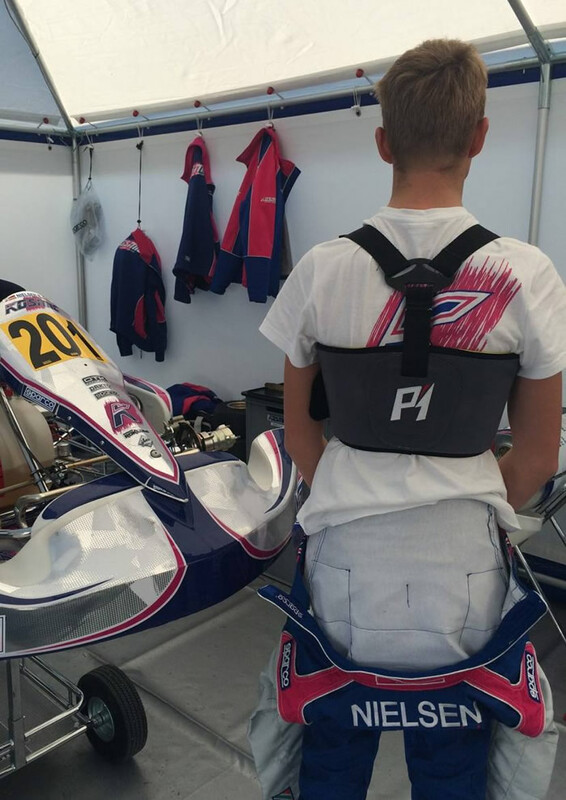 A big problem in karting is bruised and swollen hips. Drivers with wider than average hip bones end up cutting holes in the seat and weakening the structure. 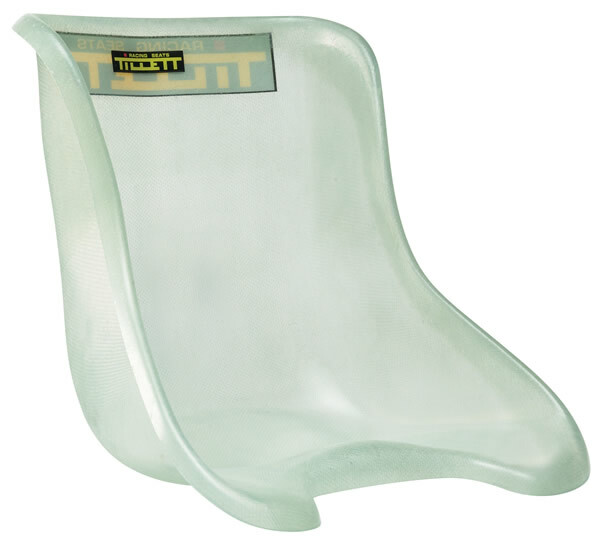 Stop the bleeding and pain using our range of wide hip T11 handmade seats. The T11 WH is available in sizes S, Man, and ML. This 2016 model T11 is made by an entirely new process that gives a dense fibre fill and perfect consolidation of the composite. 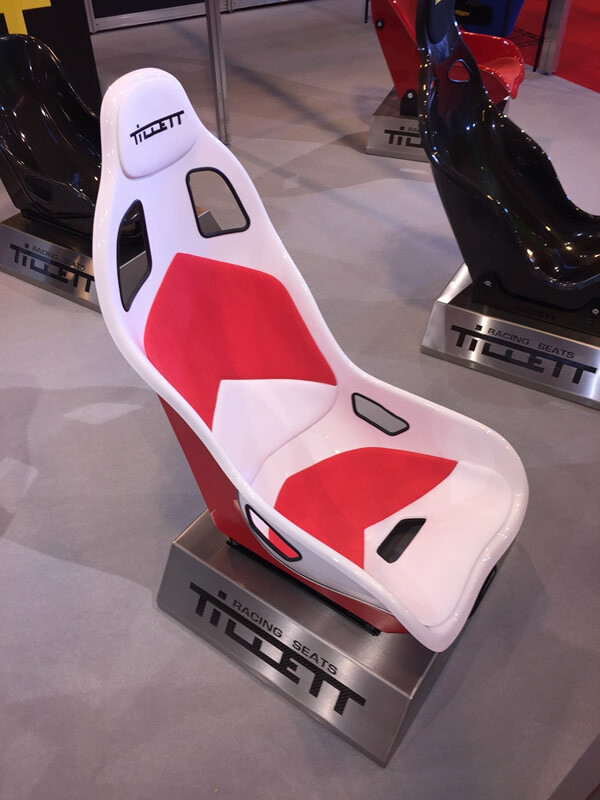 The new seat has the smooth surfaces of the T12 but also the huge size range and rigidity options that made the old model T11 shape so useful for tuning the handling. 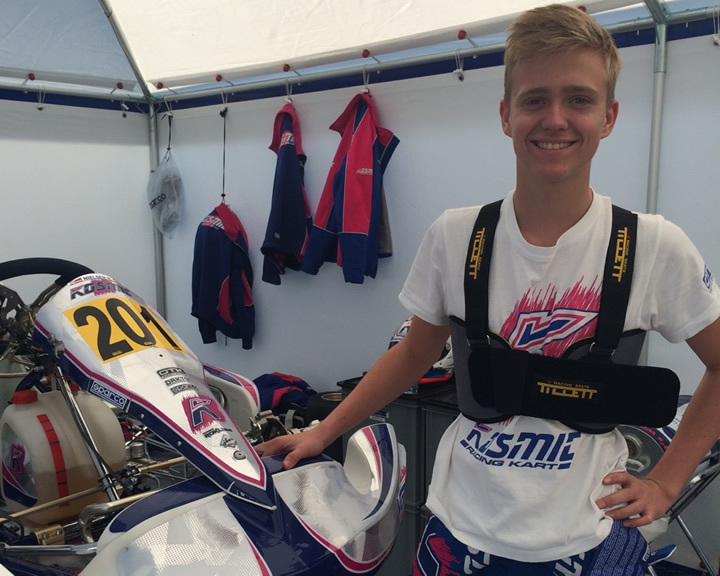 The performance of the prototypes was exceptionally successful in numerous brands of karts, winning 6 major CIK race meetings and coming 1st and 2nd in the 2015 World KZ Championship. La Conca had extremely tough conditions with a thick rubber covering. No doubt the load spreading ability of the P1 and our special personalised version helped these drivers all get to the podium. Sequence 01 from Nelson Hancock on Vimeo. With todays hard shell rib protectors the instances of race suit damage are high especially if they do not have a protective layer like the P1. Therefore we have introduced these low profile seat bolt/washer combinations to give a flat surface to the seat without compromising the ability of the bolt head to twist in the washer. 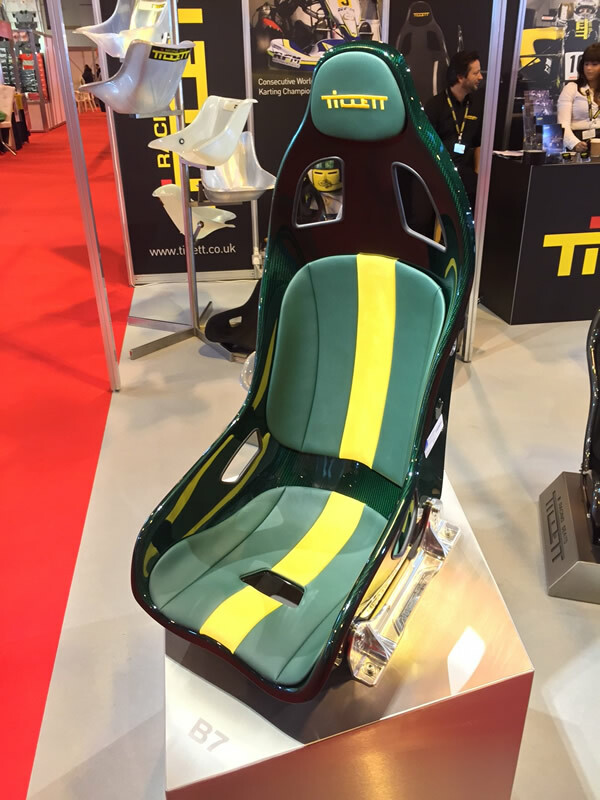 Tillett Racing Seats attends the 2015 Autosport show with a "racing colours” theme to the seats on display. 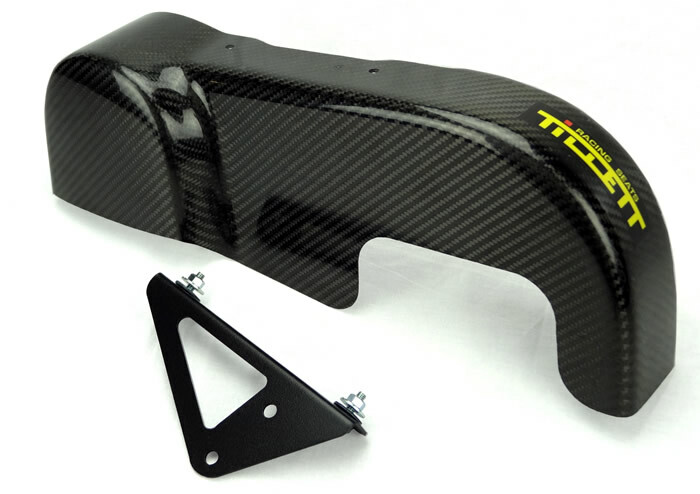 This lightweight KZ guard is made from carbon so only weighs 62g. 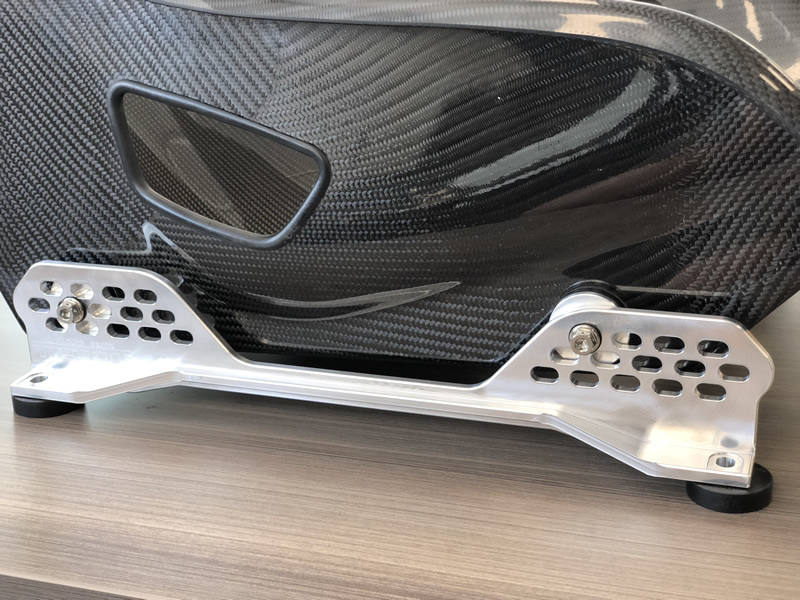 The guard is shaped to avoid the nearby KZ exhaust and due to its carbon construction will not melt like a plastic guard. The attachment kit is designed to be rigid, easy to remove and fit many different chassis. 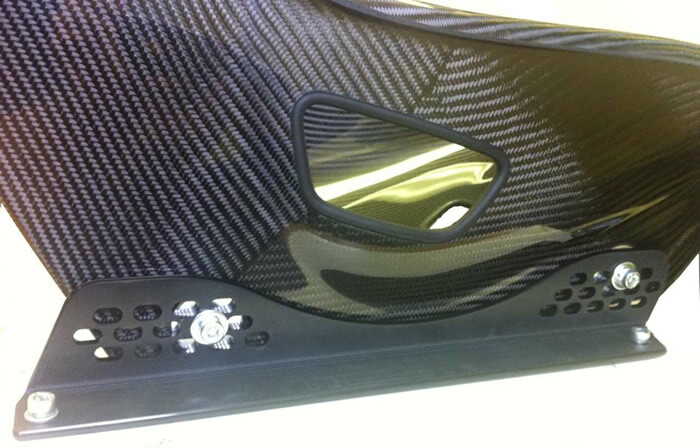 With this carbon guard we have developed a system to keep the price low. 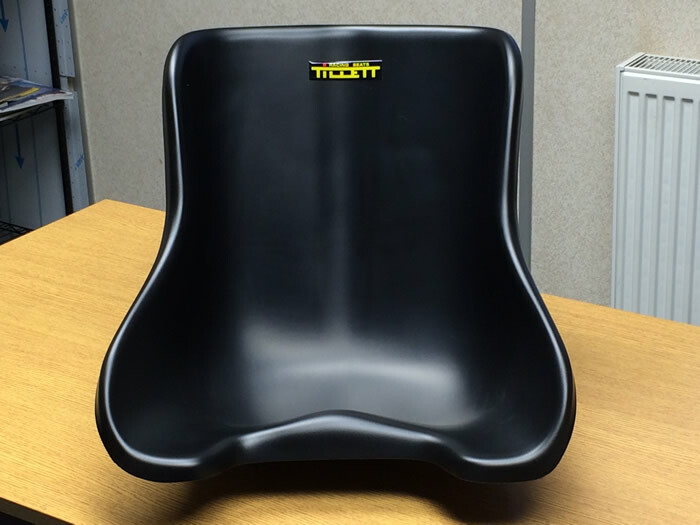 Tillett Racing Seats have been working on karting rib protectors for over 20 years. 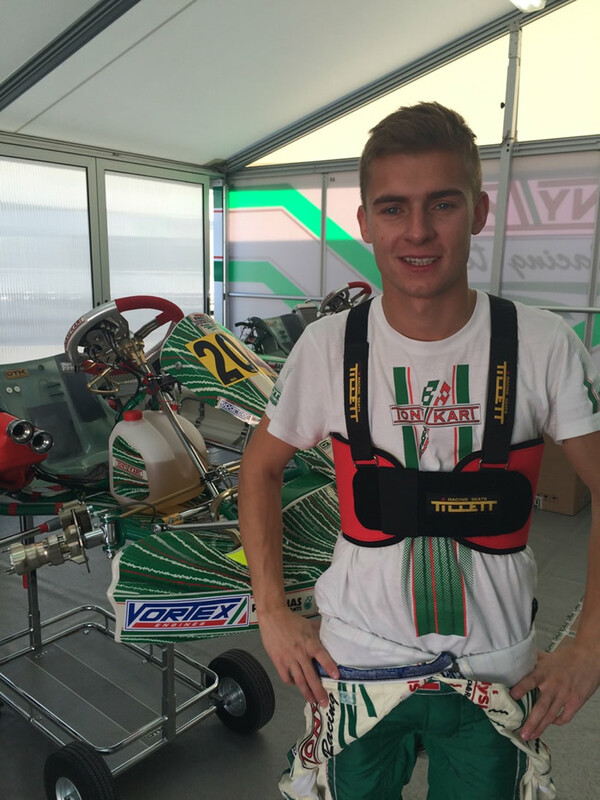 They have been used by at least seven of the current F1 stars and a huge list of the current karting stars including the 2014 KF, KFJ World Champions, Lando Norris and Enaam Ahmed. 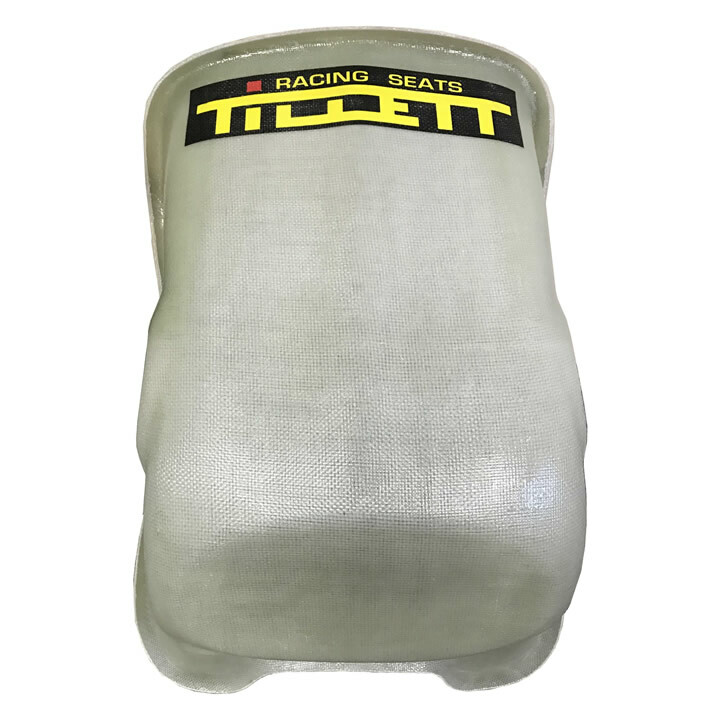 The drivers at the top of world karting throughout the last two decades have used Tillett Rib protection and now the latest industry leading development is available, The P1. 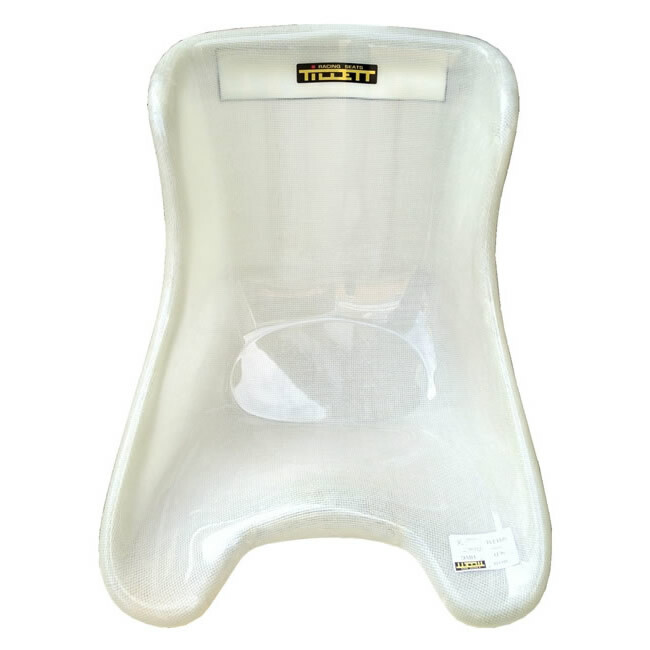 The new Junior vacuum formed plastic rental seat has been made to satisfy the needs of the rental market, when catering for the age group of 8 to 15. The width, side depth and height of back have all been carefully considered to create a perfectly symmetrical seat, that will fit all juniors acceptably. The seat is available for delivery in January. 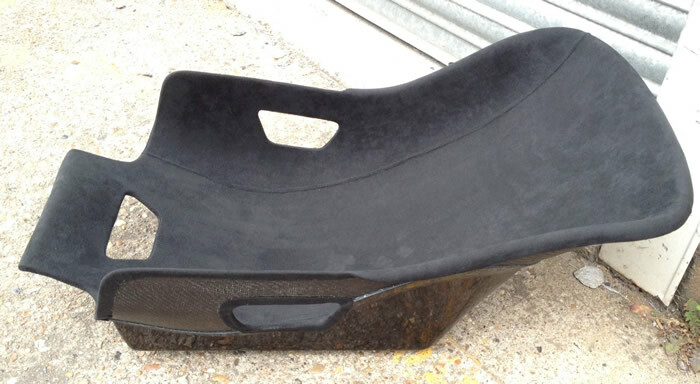 Another historic kart seat mould has been recreated from the 1970’s for the now popular historic karting market. This moulding type has flat sides and large rolled edge. It was commonly found on British and Italian made chassis from the early 70’s to early 80’s. 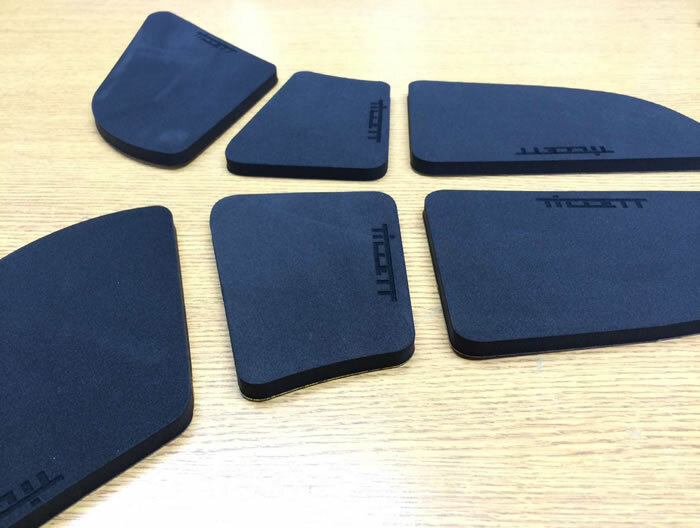 Tillett Seat Sizing foam kits come in 5 mm and 10 mm and isolate the three critical areas on the side of the seat. Each set comes with six separate pieces which are self adhesive and closed cell. By using a mixture of both sets it is possible to get the leg hip and chest areas a perfect fit, which is important for protection of the ribs and hip bones, even if you have a rib protector. The beautiful strong new rear moulding now allows a side mount option. It also has more clearance to allow better angle changes and more space to accommodate a runner system. 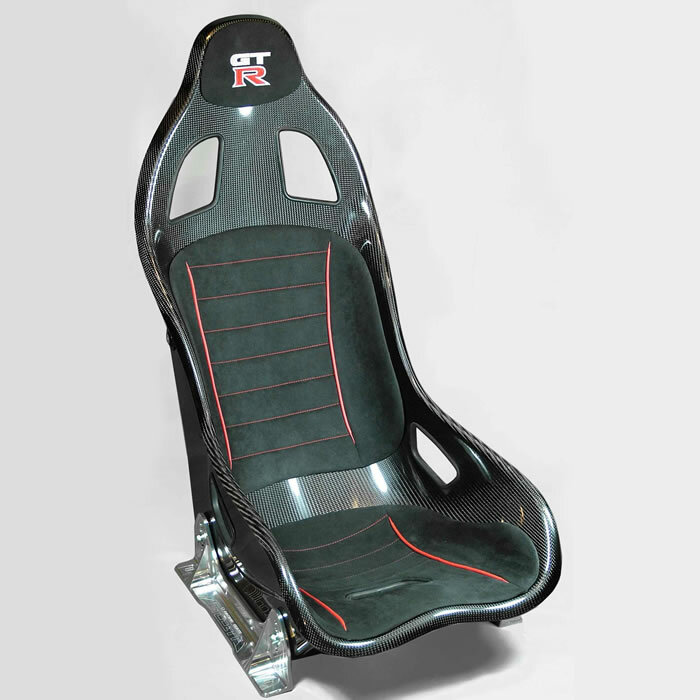 Now there is a wider version of the popular B6 F race seat available for a driver over 100 kg. The new model has been reduced in price at the same time as achieving an improvement in quality of the board. The angle and "distance from seat to axle" measure has been modified to align more accurately with the seat positions of modern karts. 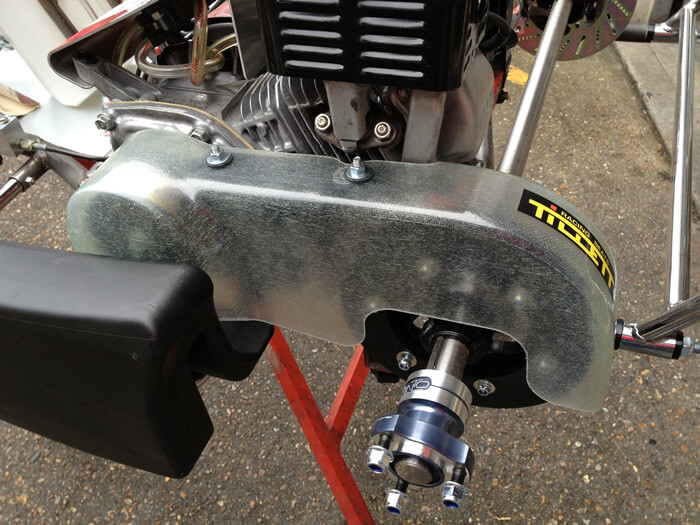 The new Tillett Honda carbon guard suits the new and old Honda GX160 engines. It also features a new style lightweight bracket which is designed for better stability of the guard at the rear. 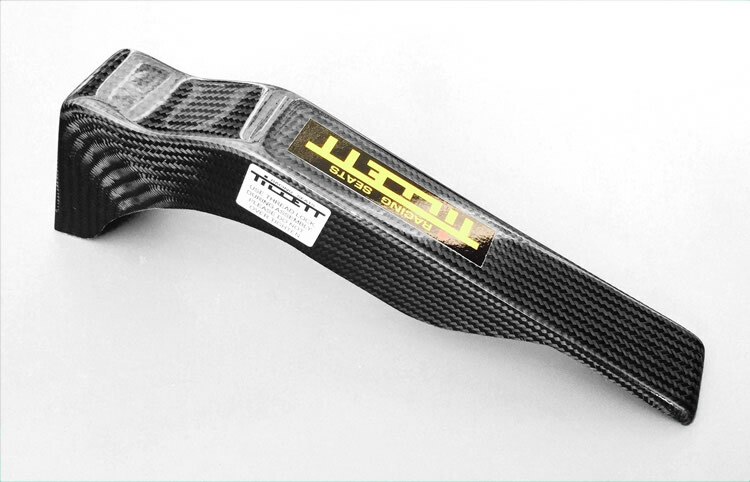 The combination of guard and bracket saves 157 g over the already lightweight Honda composite guard. The Honda carbon guard has the new shape which has better coverage and avoids the need for sprocket protectors. It also contains Kevlar brand fibre for ballistic protection against flying chains. 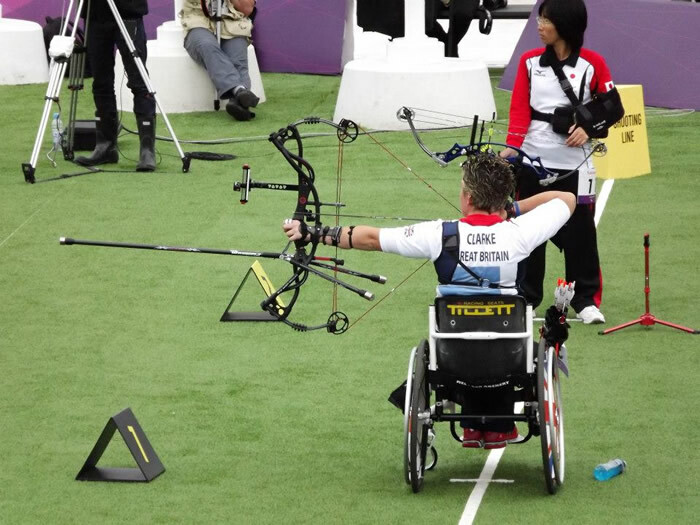 The seat was specially modified to help with upper body stability and to hold Mel at the correct angle for shooting. It all came down to the last arrow and we would like to send Mel our congratulations for the superb result. 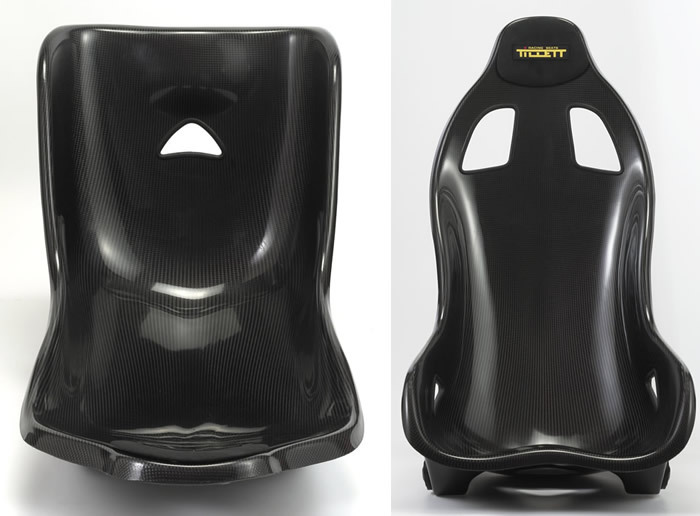 The W4 is a wide version of the inclined W3 race car seat and when released will have a backframe option for floor mounting. 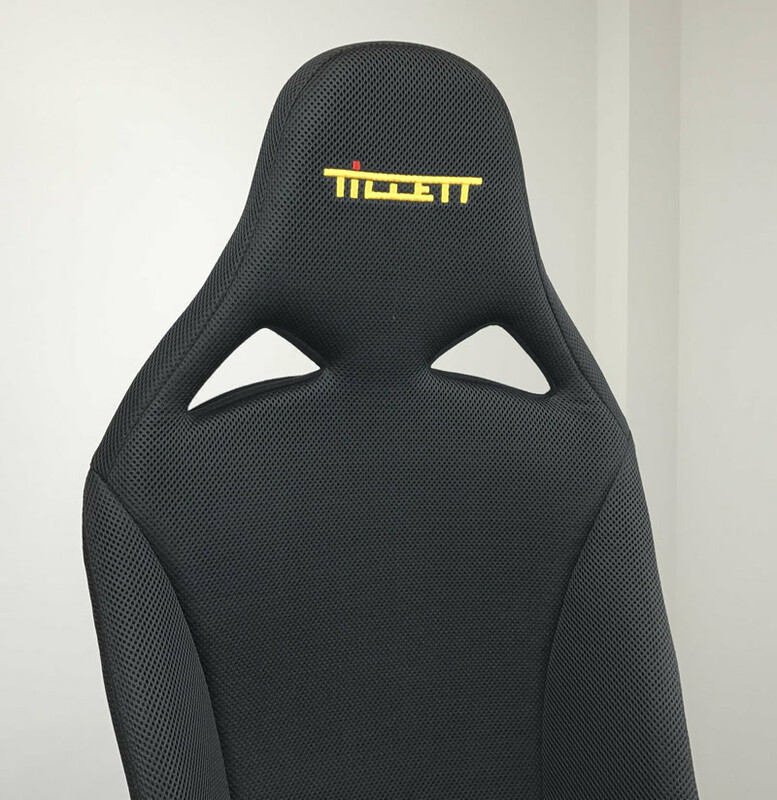 Tillett Racing Seats makes a specially adapted suede covered W4 seat for the Caterham SP300 R.
The latest size in the ever growing popular T11 range is a cut down low back S.
This size and shape will suit 5 ft. tall 60 kg Juniors around 13 years of age. We now have a total of 16 sizes just in the T11 range. A new modified Honda chain guard that avoids the necessity to run sprocket protectors. The new guard closes the access to the side of the sprocket behind the engine. There are also other tweaks to make the guard fit the current and new Honda engines more effectively. Coloured piping and stitching at extra cost. Embroidered headrest logo's to your own design P.O.A. 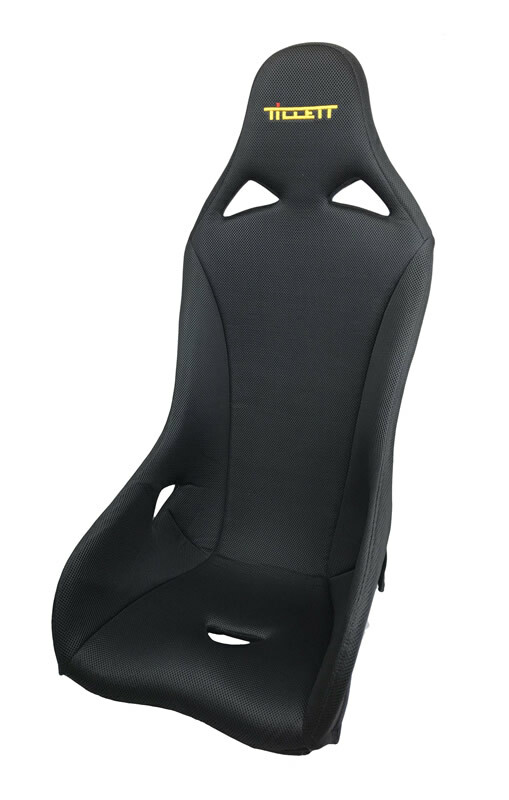 The B7 is one of the narrowest FIA seats available and is incredibly light at only 3.5 kg. The super rigid carbon fibre twin skins are comfortable even without a cover and the shape firmly supports the body without the need for shoulder support. Narrow vehicles with limited cockpit space, such as historic racers, now have a lightweight FIA seat options that did not previously exist. 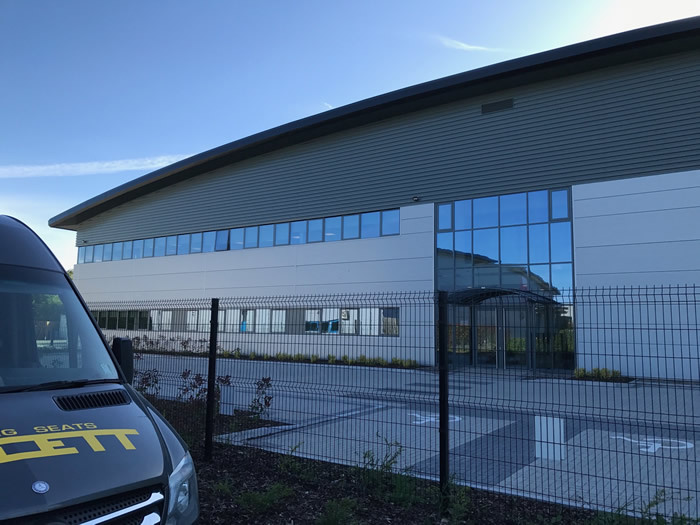 The Tillett car range was exposed to the public in whole for the first time. 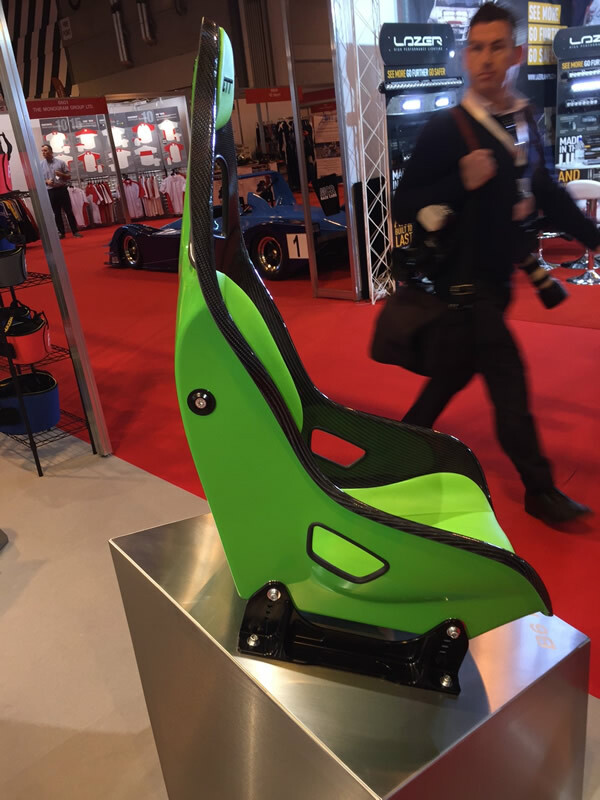 Judging by the public and trade reaction, they were impressed with the innovation and quality of the seats that were on show. 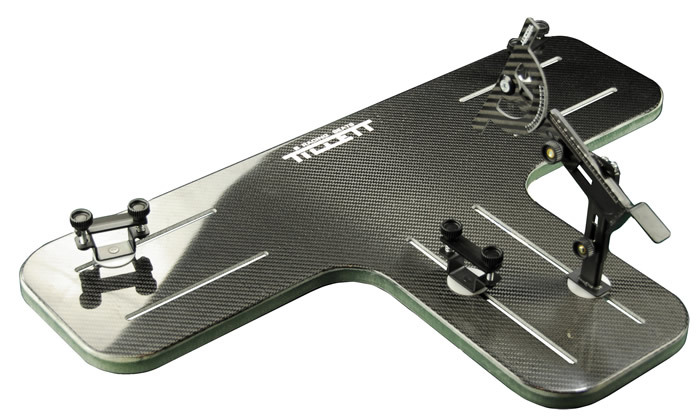 The new 6 mm thick aluminium TB F1 is designed to fit the FIA homologated B6F seat to a flat floor, in many types of vehicles. These brackets are a very high quality version of our TB1 with a slightly modified angle to fit the B6F more accurately. The bracket has hole a hole pattern to facilitate back angle and height adjustment. 1.2 kg £124.00 + vat a pair. 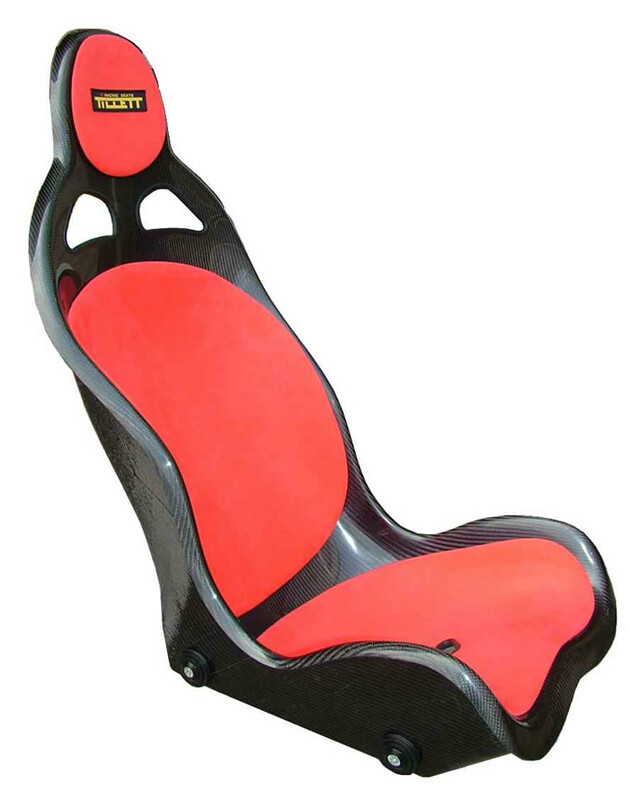 The EB F1 has been developed to fit the B6 F seat into a Lotus Elise or an Exige. These 6 mm thick aluminium brackets give a rigid and fixed mounting position and by using the many hole options available in the bracket, the seat can be adjusted to your required driving position. The adjustment possibilities available give options on leg length, angle and a certain amount of height. It is also possible to use these on top of some existing production vehicle runner systems with a bit of re drilling. For someone with a wide chest and narrow hips it can be difficult finding a seat that fits. The T11 WT (Wide Top) range is larger across the chest dimension and takes away the gap down by the hips. 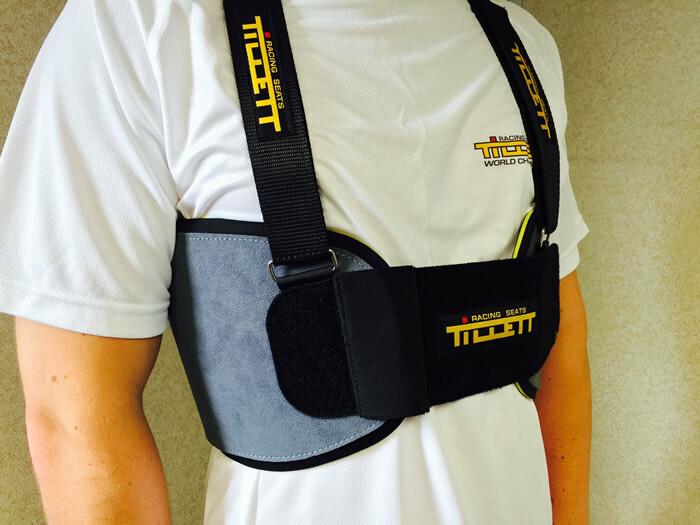 The use of a hard rib protector like the Special Tillett Personalised rib protector or even the R4, can increase this dimension significantly and this is where the T11 WT range can be of real benefit. The T11 WT is available in all rigidities with a size range of S, Manetti, MS and ML with a XScd T5Rev WT size for the smaller drivers. 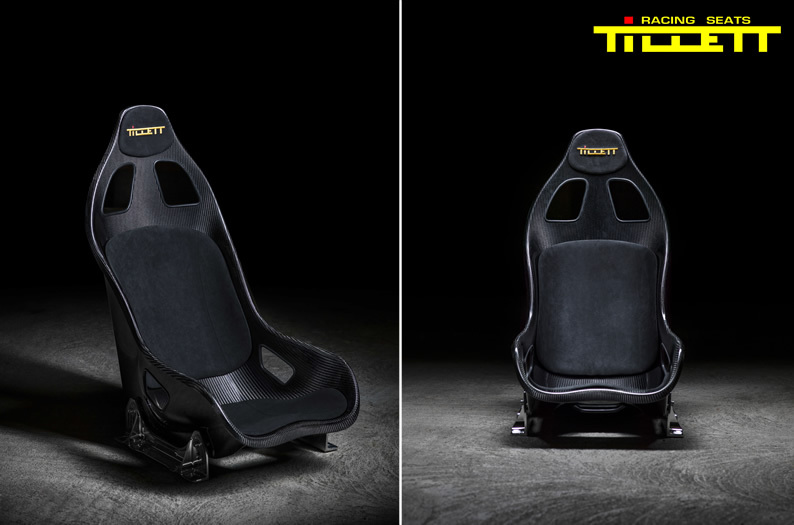 Narrow, super rigid and 7 kg the B6 F is like no other FIA seat. The B6 F fits into a huge range of limited space cockpits which far exceeds any other FIA seats in the market. 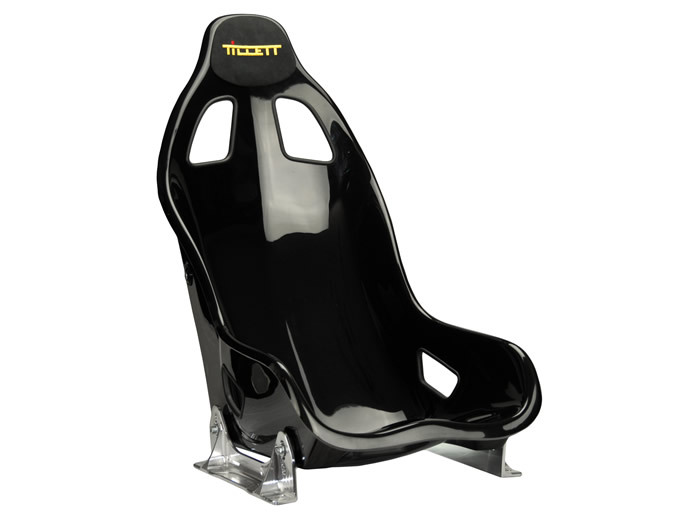 Now there is finally a serious race seat option for historic race cars where other seats simply will not fit. The B6 F not only has side mounting points but an upper mounting point and a headrest mounting point for ultimate strength and security. Made by injection and cut by robot every B6F has a guaranteed thickness and consistency of moulding that other makes cannot match. Covering is unnecessary on this seat but it is available as an extra cost option. 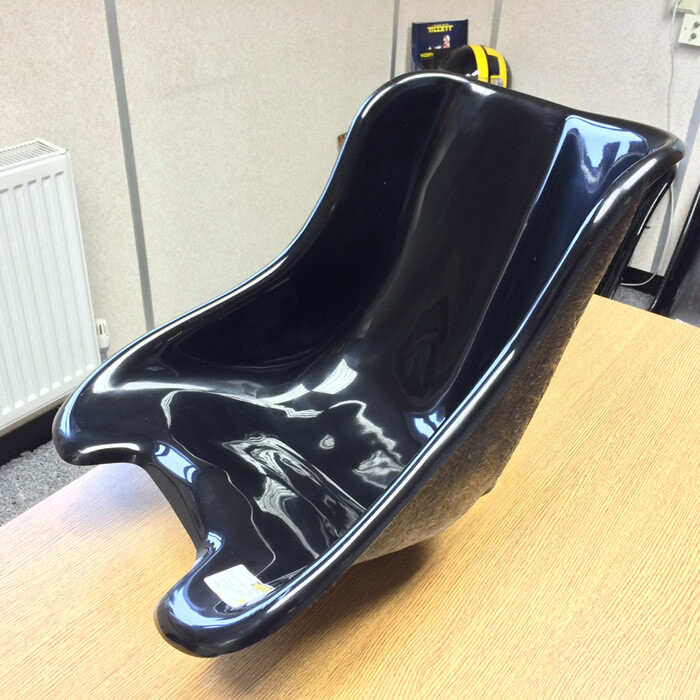 Prices start from £444.00 plus vat for the black GRP finish. A Red Dinamica suede covering option is now available on the car seats at extra cost.